LEARN TO FREEDIVE: REGISTER with RAID and start your Freediving lessons now! 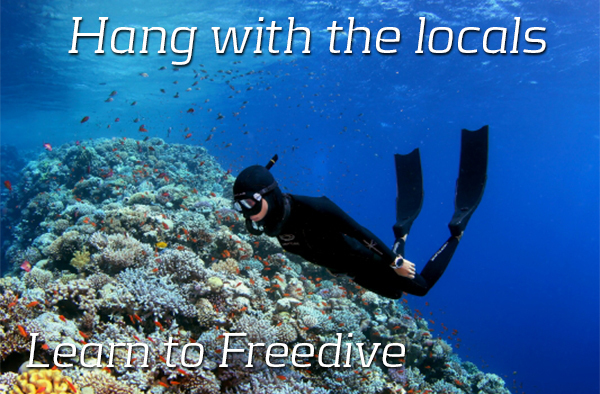 Learn to Freedive through a RAID Dive Centre from beginners all the way to Instructor level. Internationally Recognised Freediver certification. Start you course now with our advanced on-line quality control system which integrates e-learning programmes, covering all your theory, quick quiz and exam whilst linked to your chosen RAID Dive Centre. Practical diver training is completed through a RAID Dive Centre with an experienced RAID Instructor. After registration buy your RAID World Series of Freediving (WSF) course through our ON-LINE STORE. Together we will dive into the twenty first century.